William and Sugar are two sides of a coin. Each of them knows they're capable of more, if only they had the opportunity to demonstrate it. When they meet, it seems fate has given them the opportunity to do just that. But as their dreams come true, they find that dreams don't always end with the bliss they seem to promise. 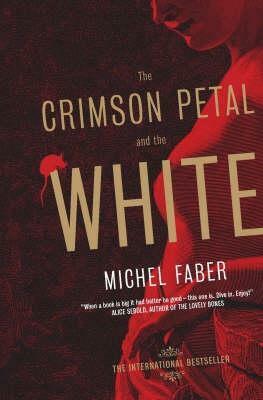 Told by a single, omniscient narrator, The Crimson Petal and the White takes us on a journey through late 19th century London, and the lives of the people trying to get by within it. Love struggles with self-loathing and hope tries to make peace with reality while the world spins on, leaving no one unscathed. And it ends much as it begins. In the middle of a street, not sure exactly where things will go from here. It's equal parts beauty and tragedy, and engaging from beginning to end.